Perlick products have been designed and built in the same city in Milwaukee, WI since 1917. 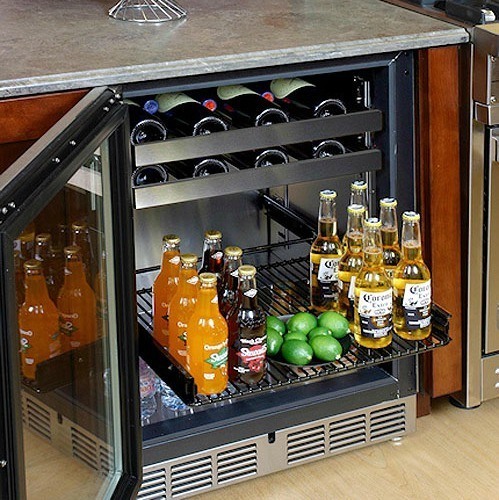 From the beginning, Perlick has revolutionized the brewery, bar, and home refrigeration industry with is unique brass fitting, long throw taps, and wide array of wine coolers and beverage centers. Their under bar / counter beverage dispensers have been a staple of the brand for more than 95 years. We are proud to bring this tradition to our clients! 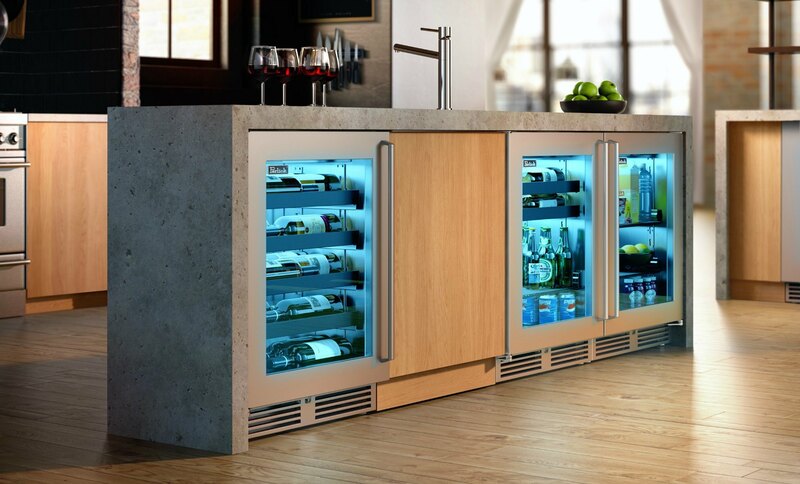 Perlick’s luxury under-counter units are the perfect solution to adding custom refrigeration to any room of your home. 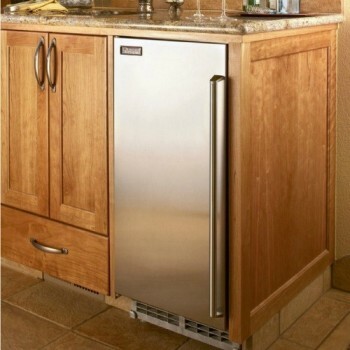 The 15″ refrigerator draws are perfect in a bathroom for keeping bottled water cold, preserving cosmetics, or helping keep medication safe. 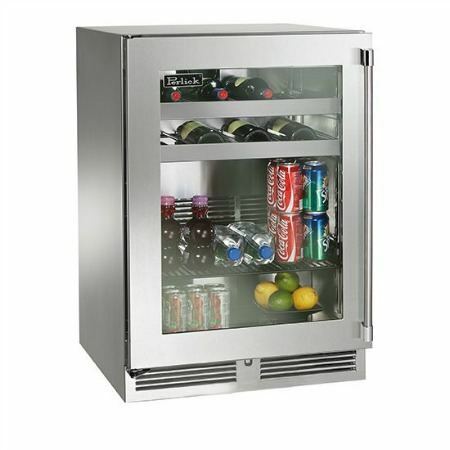 The 24″ version is great as additional space in a busy kitchen or family room and are the ideal height for storing the kids snacks and drinks. 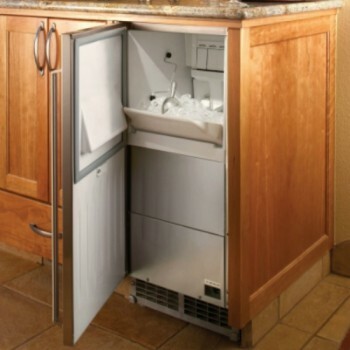 Perlick also offers several models of ADA Compliant models that make sure they are accessible to all. In addition to these, Perlick now has a renowned shallow-depth unit that can overcome many design challenges thanks to it’s 18″ depth. 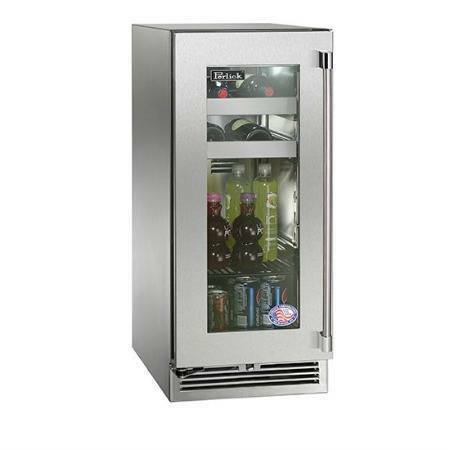 The practicality of a refrigerator meets the elegance of a wine cooler in Perlick’s full line up of beverage centers. Full extension wine racks keep your bottles at the perfect temp while the lower portion offers plenty of space for cans, jars, snacks, and more. With more than just a few styles to choose from, its easy to add stylish refreshment to any room. 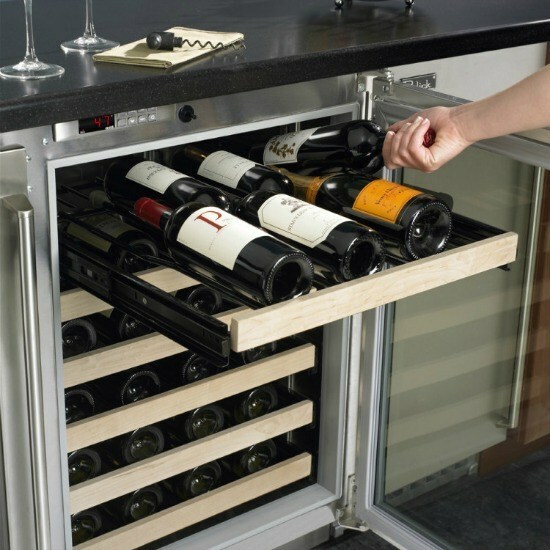 Perlick manufactures the most well-built and skillfully designed wine storage in the world. 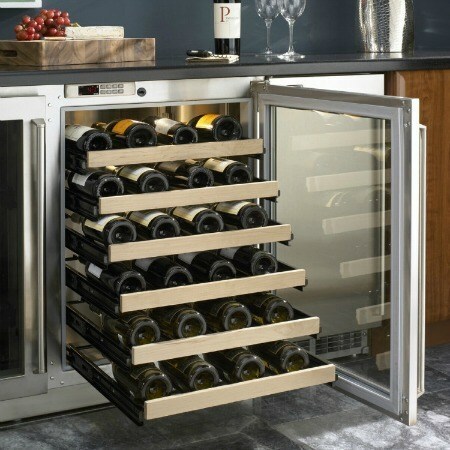 Perlick’s Wine Reserves are simply designed and built to store wine properly and beautifully, and offer numerous features not found in any competitor models. 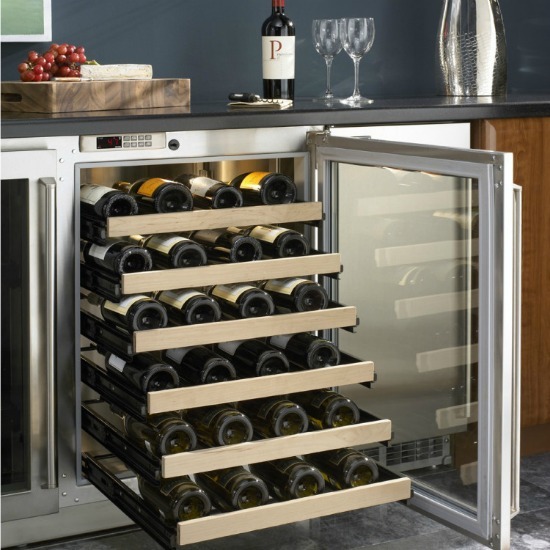 Available in 15″, 24″, 48″, and 18″ Shallow-Depth configurations, Perlick wine reserves fit any room in your home. 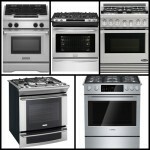 Built with stunning stainless steel interiors, vinyl-coated full extensions racks, and with a variety of door styles. Temperature range from 40-68 degrees F to properly chill white or red wines. Low-E, UV coated glass provides industry leading protection and insulation. 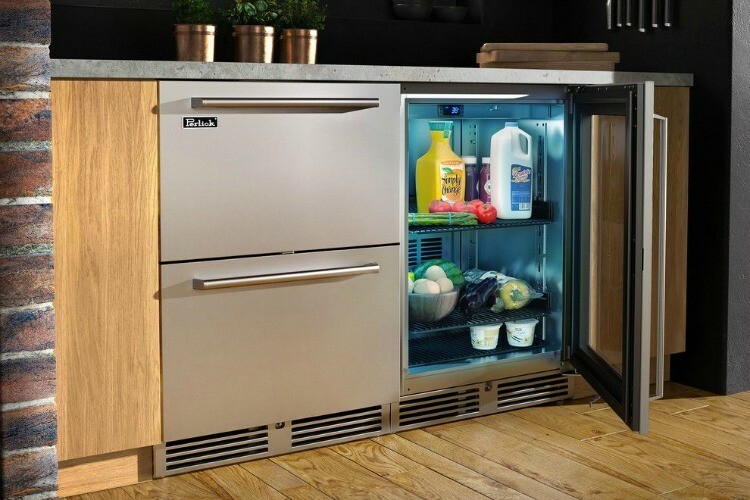 Perlick continues to set the industry trends with the newly-introduced 24″ Dual-Zone Freezer/Refrigerator Drawers. 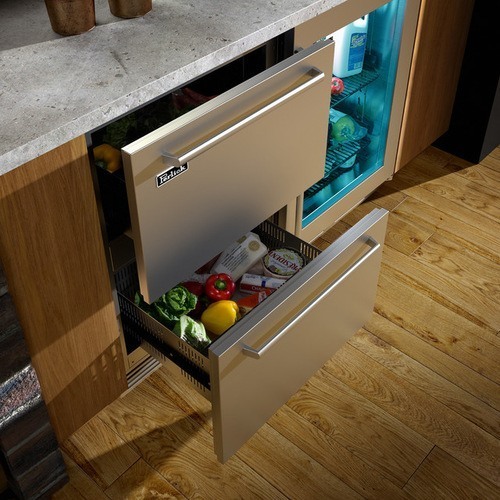 As part of the industry exclusive dual-zone series of products, the new Freezer/Refrigerator Drawers are controlled by two separate temperature zones to give you the ability to freeze and chill product. 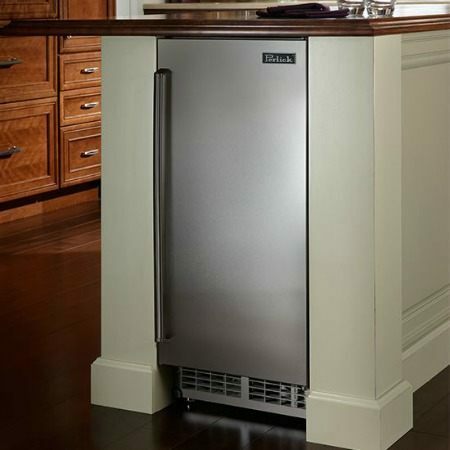 Measuring a mere 15 inches wide, the Perlick Clear Ice Maker can create up to 50 pounds of crystal clear ice in a single day (with storage of 22 pounds), fulfilling even the most generous home entertaining needs. The unique top hat shape prevents ice from clumping and ensures that every cube is absolutely free of impurities. 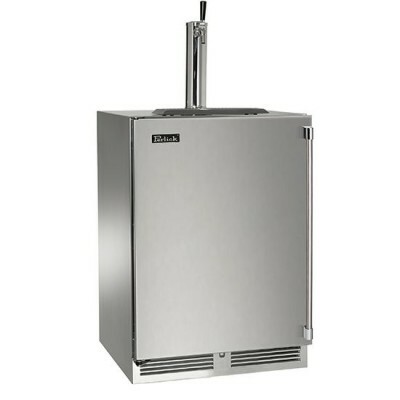 Perlick Clear Ice Makers are UL-rated for outdoor use, making them the perfect option for any space inside or outside the home. 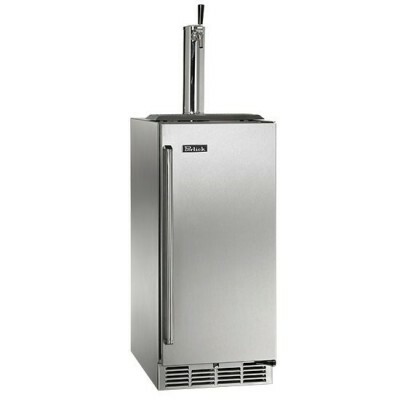 Enjoy brewery-fresh draught beer at home with a Perlick’s Signature Series Beer Dispenser. 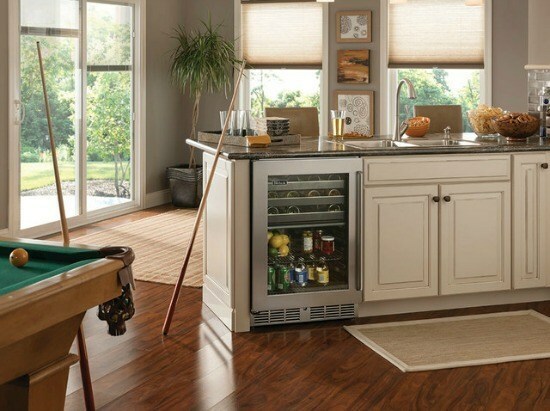 Perlick makes the finest commercial beverage equipment and now you can have the same level of excellence in your home. Impress your guest with the ability to serve cold draught beer from around the world with out leaving your home. 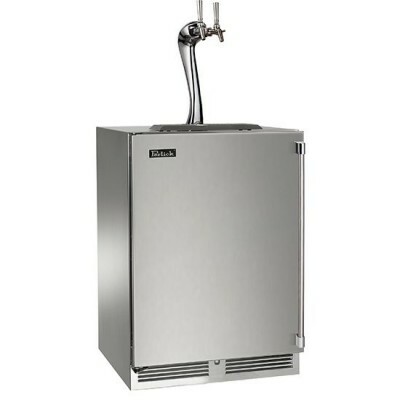 Available in 15″ and 24″ configurations, Perlick’s draught beer dispensers are built with whisper quiet commercial compressors and stainless steel interiors. 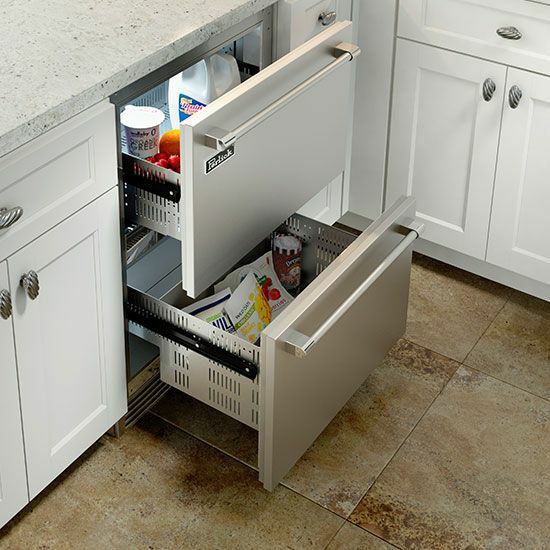 Zero clearance hinging allows for a variety of cabinetry options and all units include a self contained drain so no plumbing is required. 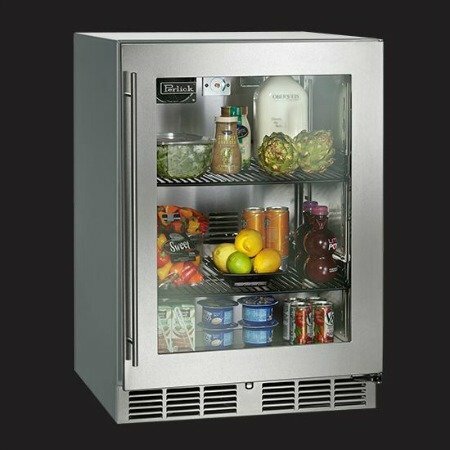 Need refrigeration for your outdoor kitchen? 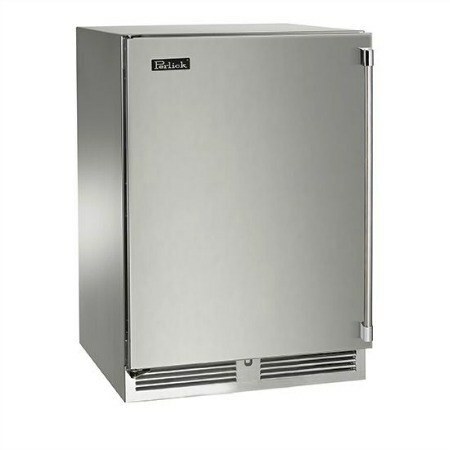 Perlick offers the largest selection of outdoor refrigeration lines in the industry. All of the indoor models have an outdoor equivalent that is UL rated for the elements. 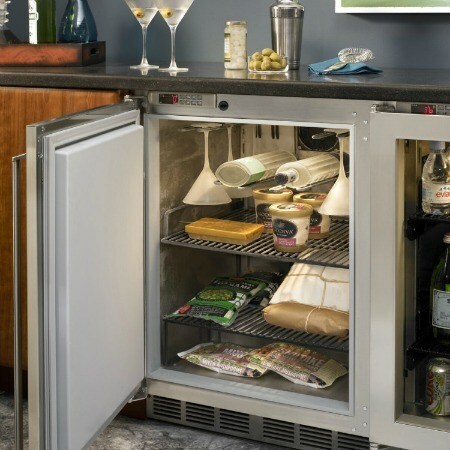 Boasting a wide selection of freezers, refrigerators, wine coolers, and beer dispensers, you can create any combination to build the ultimate outdoor entertainment area.